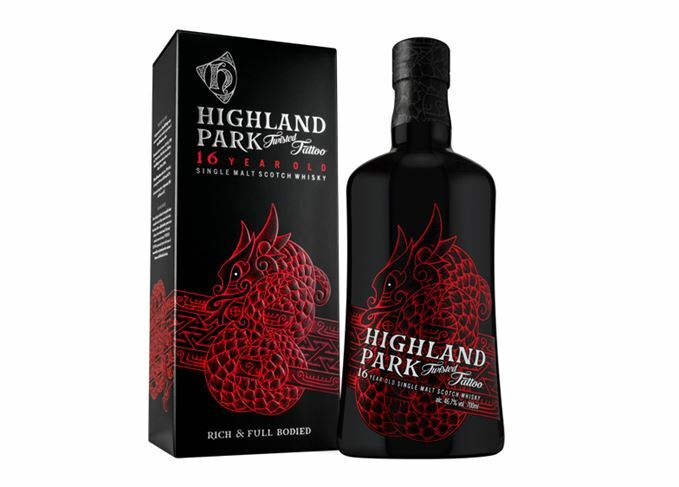 Orkney distillery Highland Park has announced the release of Highland Park Twisted Tattoo, a 16-year-old single malt part-matured in Rioja-seasoned wine casks. The ‘rich and full-bodied’ single malt, with ‘notes of light heather peat and soft red fruits’, is said to have been inspired by the Viking legend of the Midgard Serpent, which twisted around the Earth to bite its own tail. The expression combines whiskies matured in casks seasoned with Rioja wine and in first-fill ex-Bourbon casks. 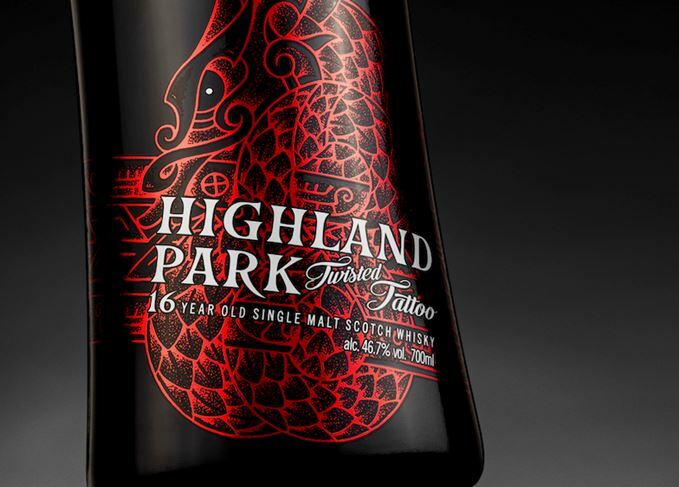 Highland Park has joined forces with Skin & Bone, a studio run by Danish tattoo artist Colin Dale, to create the design featured on Twisted Tattoo’s packaging. 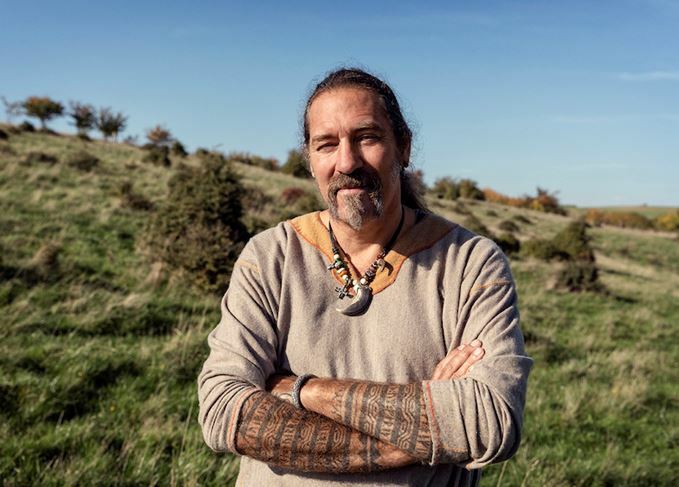 Dale specialises in dot-work tattooing, a freestyle, non-electric technique, and has helped to resurrect the ancient tattooing methods of the Nordic, Native American and Inuit cultures. ‘For us, Colin Dale was an ideal choice as a creative partner,’ said Jason Craig, Highland Park global brand director. ‘He is the perfect example of a modern-day Viking soul, and our partnership shows off the similarities between our crafts. Bottled at 46.7%, Highland Park Twisted Tattoo will be sold in 70cl and 75cl bottles, depending on country. In the UK, it is available exclusively from The Whisky Shop, priced at £80 a bottle, from today (25 March), when it is also available in most global markets. Twisted Tattoo will be sold in the US from July, with an RRP of US$100 per bottle. You can buy this bottle at The Whisky Shop. It may also be available from these other retailers. The Orkney single malt’s oldest release since 2010 is priced at US$15,000 a bottle. The Orkney distillery’s new travel retail range is inspired by iconic Viking creatures. The single malt, distilled in 1999 and matured in 100% ex-Bourbon, is aimed at music lovers. Highland Park Voyage of the Raven marks a new travel retail series for the single malt brand. What does the striking new look and range rethink say about the modern face of single malt?